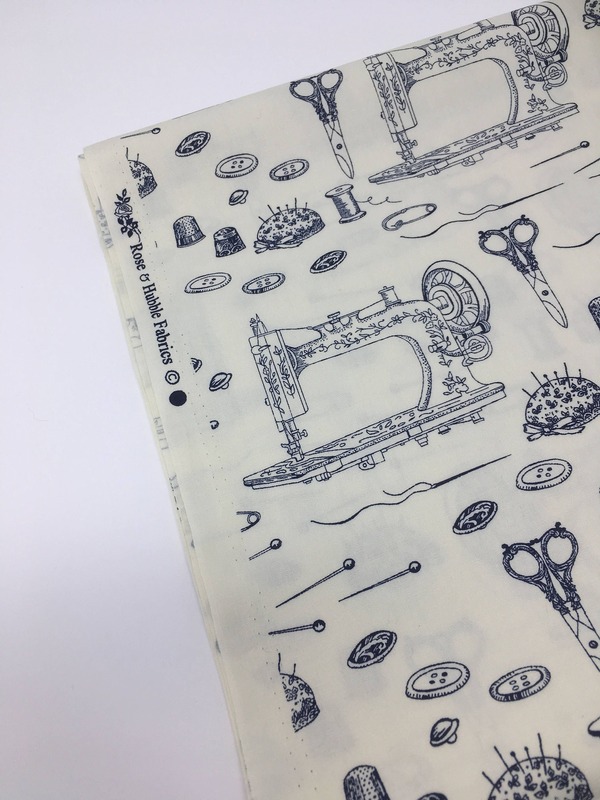 Rose and Hubble sewing print 100% cotton poplin. 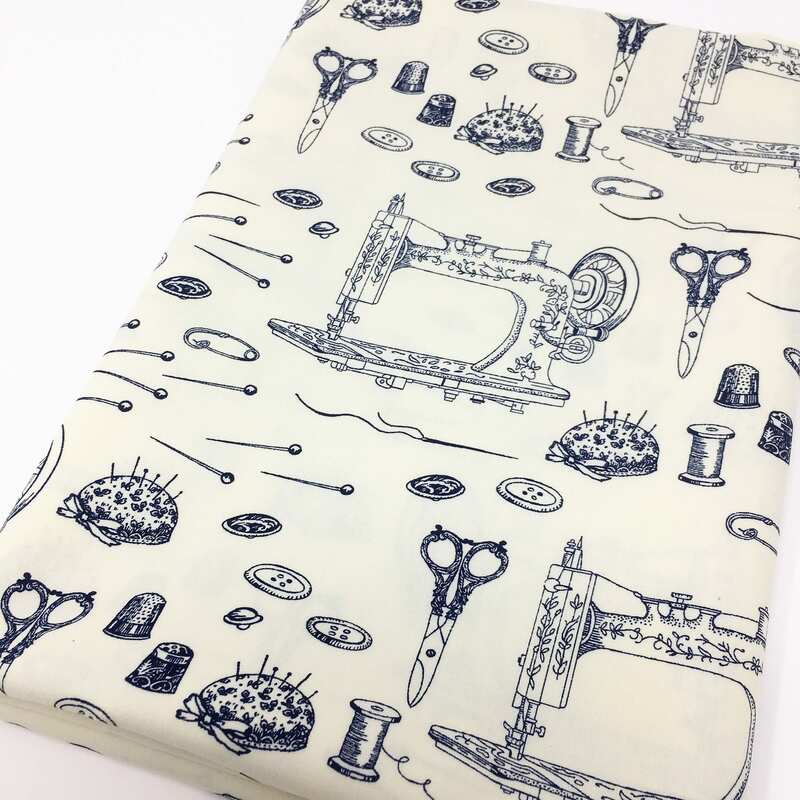 Ivory base sewing machine printed cotton. 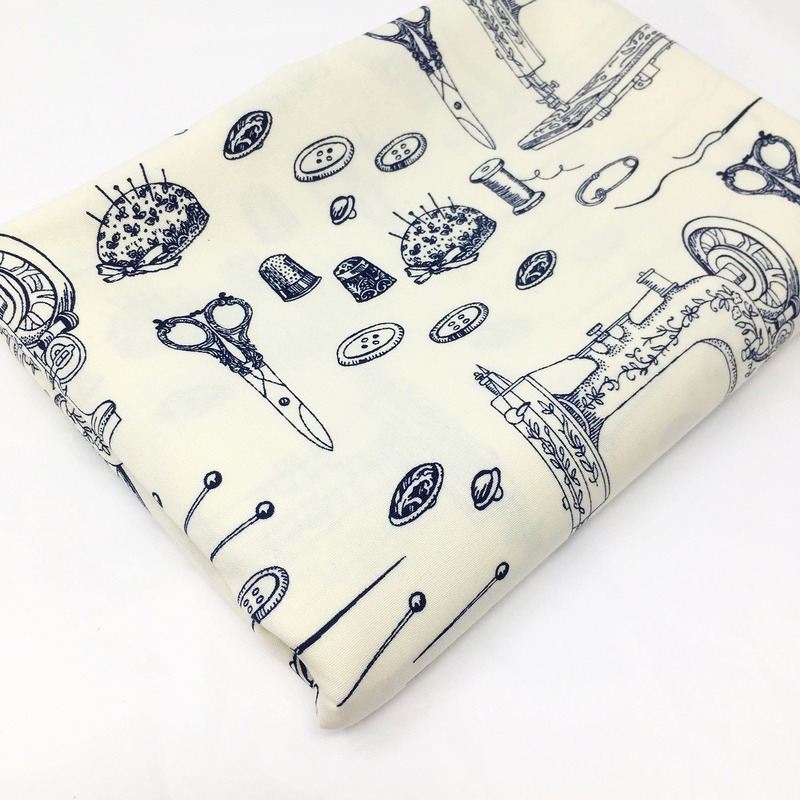 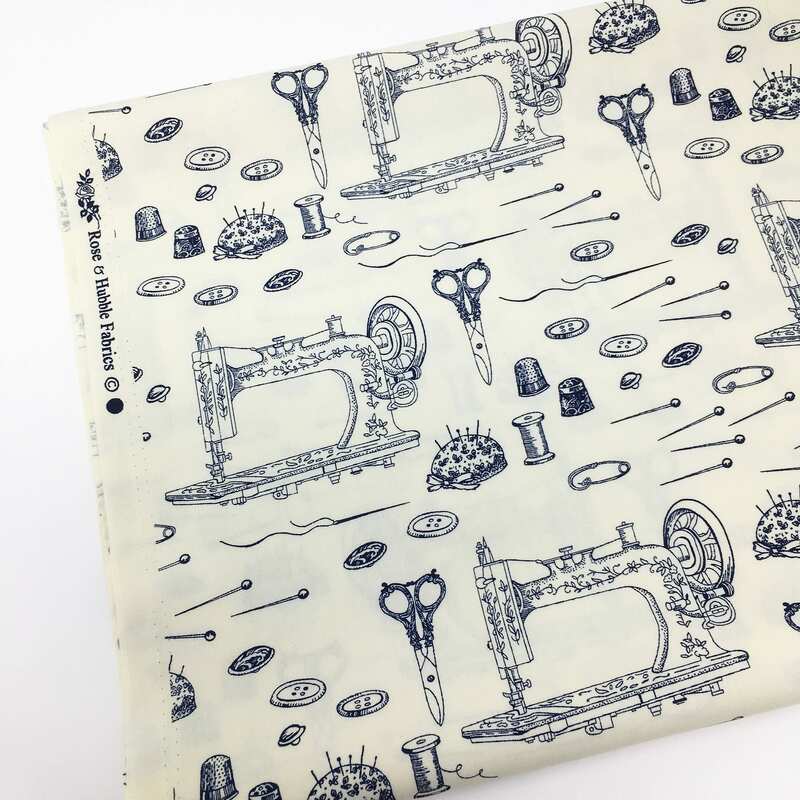 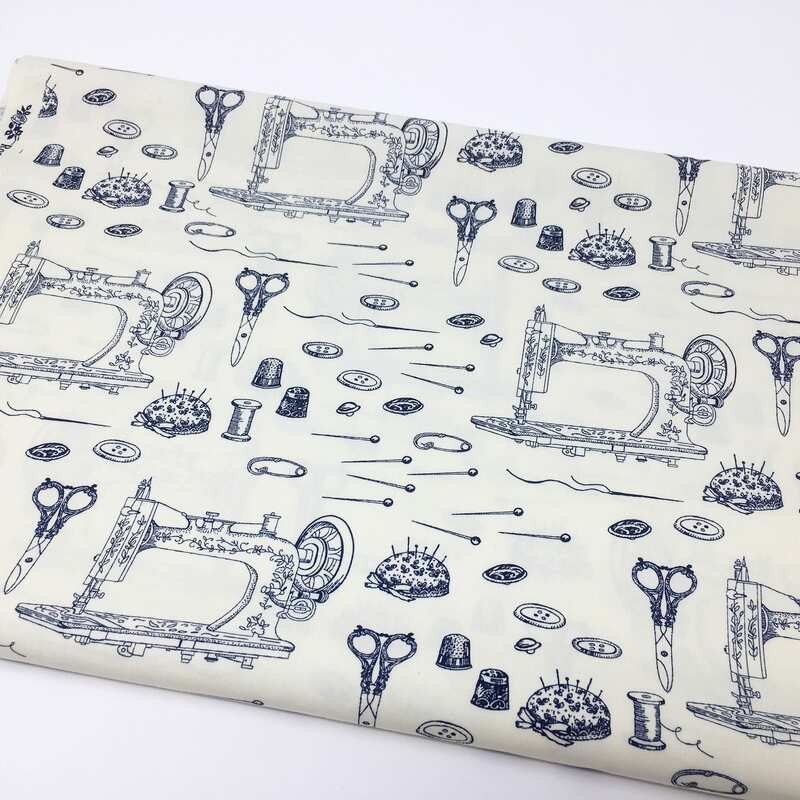 The print is navy blue and features vintage sewing machines, scissors, cottons, pins and thimbles. 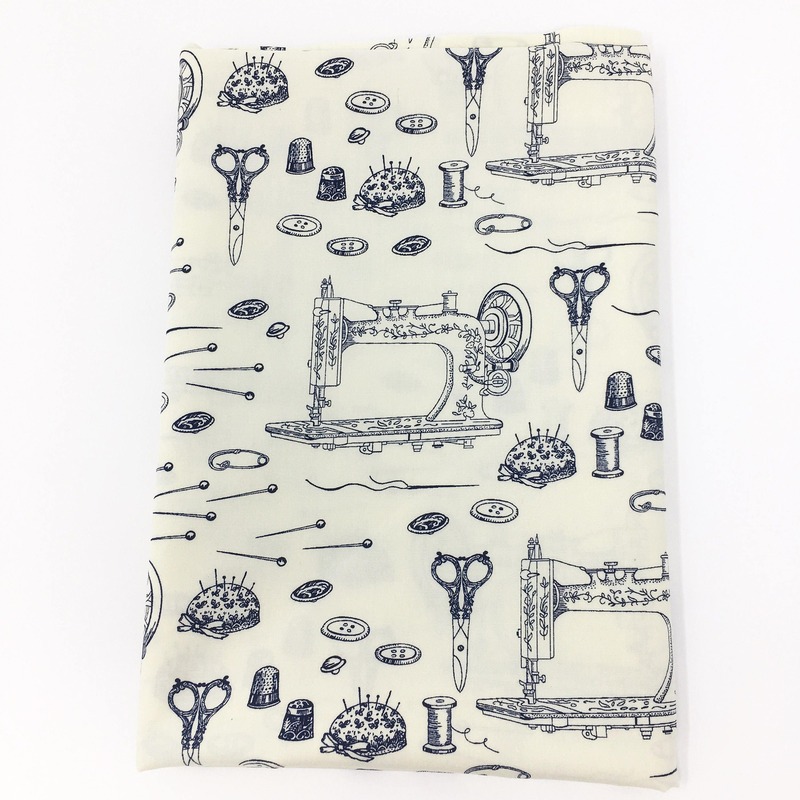 This fabric has a lovely soft hand feel and a nice drape, perfect for dress making or quilting crafts. 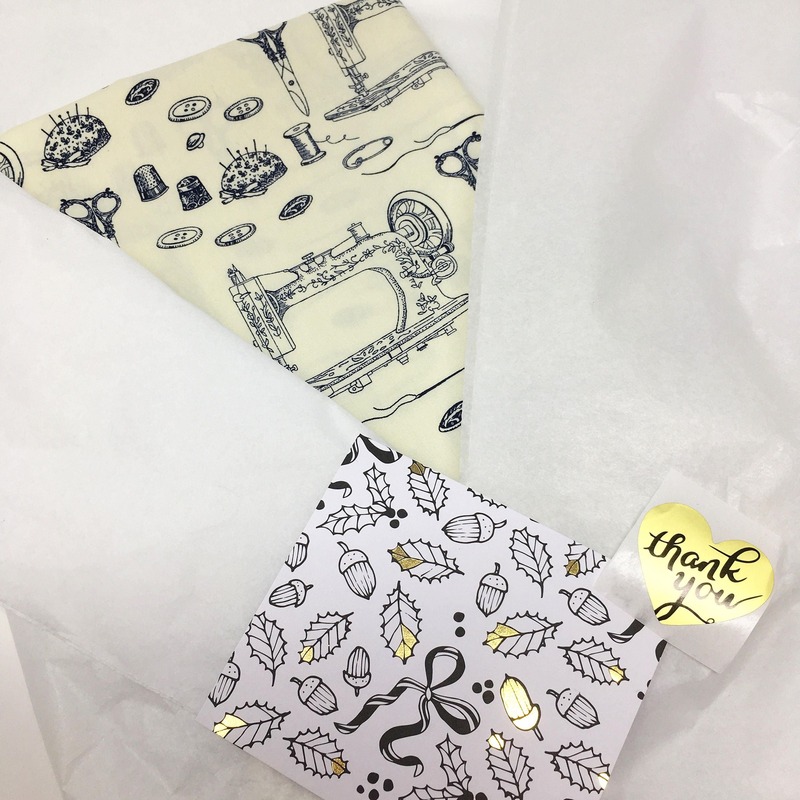 Each of my fabrics are lovingly hand wrapped in premium white tissue paper, with a hand written thank you card. 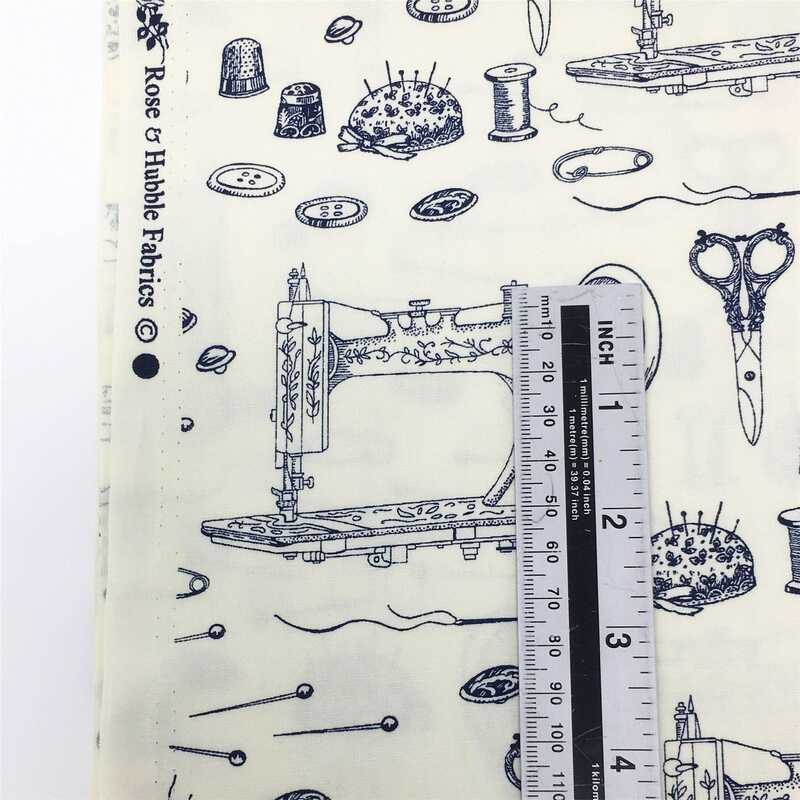 I also label each parcel with calligraphy. 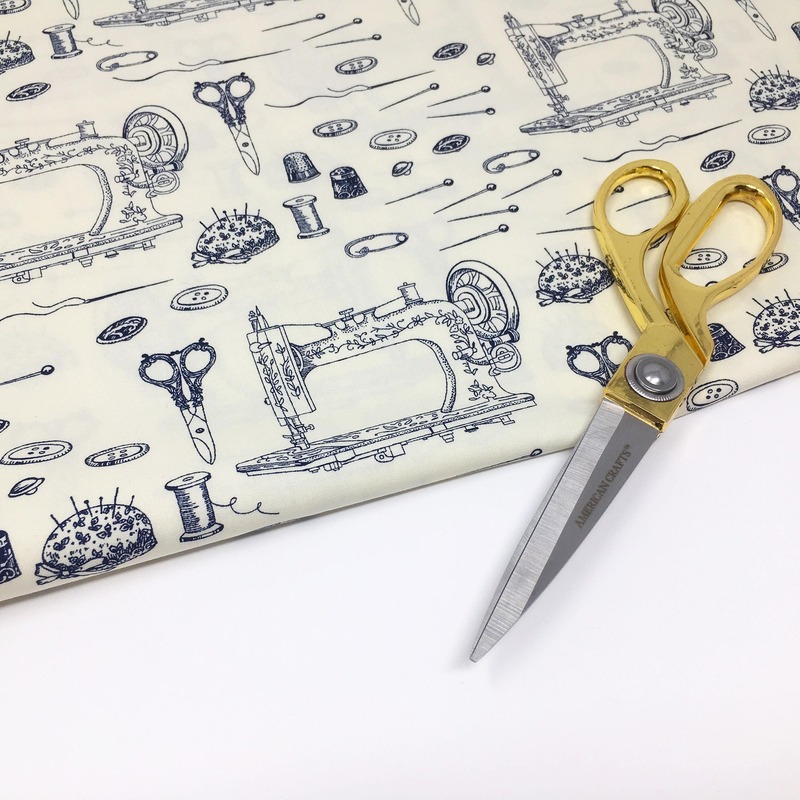 Orders of 1m or more will be cut in a continuous length. 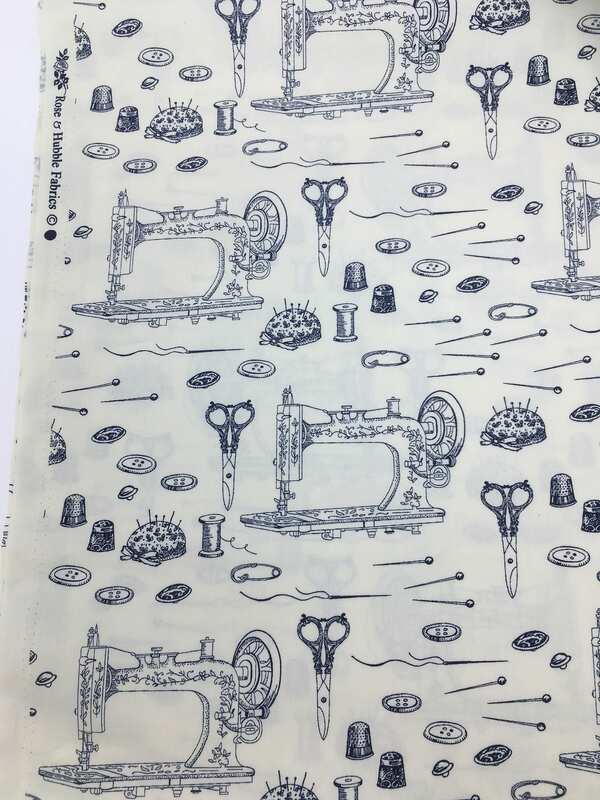 The fabric is approx 112cm wide.